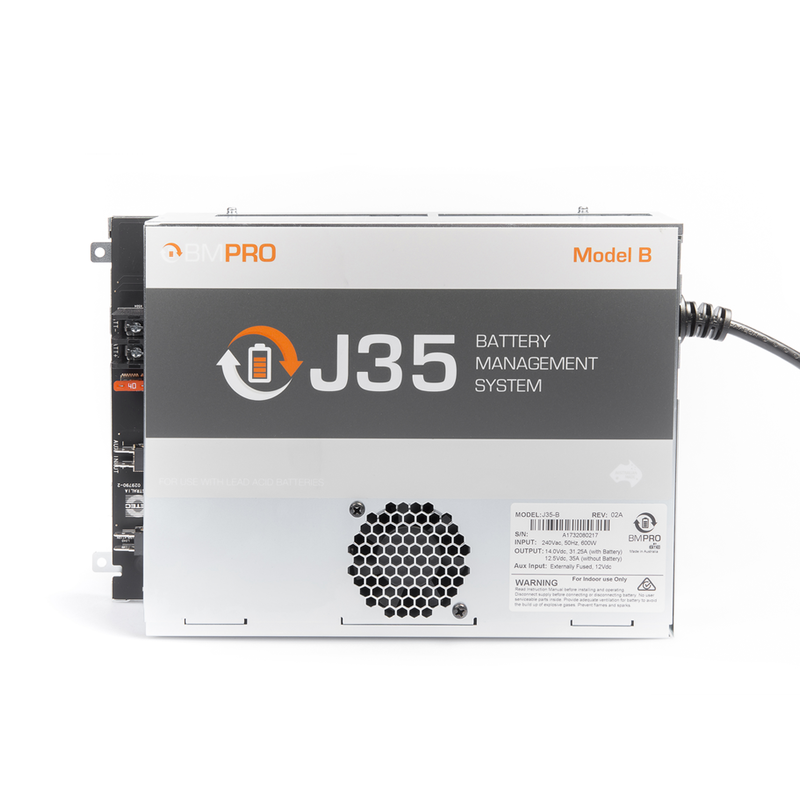 J35 Model B is an intelligent battery management system with a distribution system and a multi-stage battery charger. J35B model has been specially designed for Jayco and can be found on-board modern caravans and motorhomes. 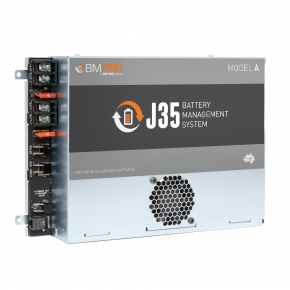 Use J35B BMS for charging 12V Sealed Lead-Acid (SLA) batteries including valve-regulated lead-acid (VRLA) batteries, both absorbed glass mat (AGM) and gel batteries. 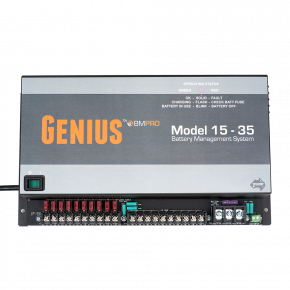 The power supply is able to deliver 35A maximum to the battery and loads. Charge your battery to the optimal charge level from AC mains, your solar panels, or from auxiliary (DC or vehicle power). A maximum DC charging current is 15 Amp. Multi-stage battery charger including bulk, absorption, float, and periodic boost charging modes to ensure long battery life. 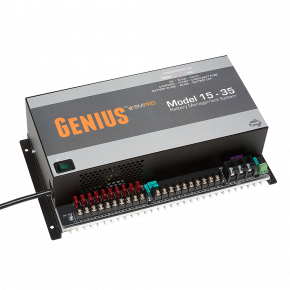 The J35B System supports up to 300W of panels with open circuit voltage between 18 and 28 VDC. J35B keeps your battery healthy for a long time thanks to the multiple battery protection features, such as low voltage disconnect and storage mode. Built in electronic fuses protect the loads. You can also use up to 14 outputs to connect your appliances, including hot water, water pump, lights, and more. 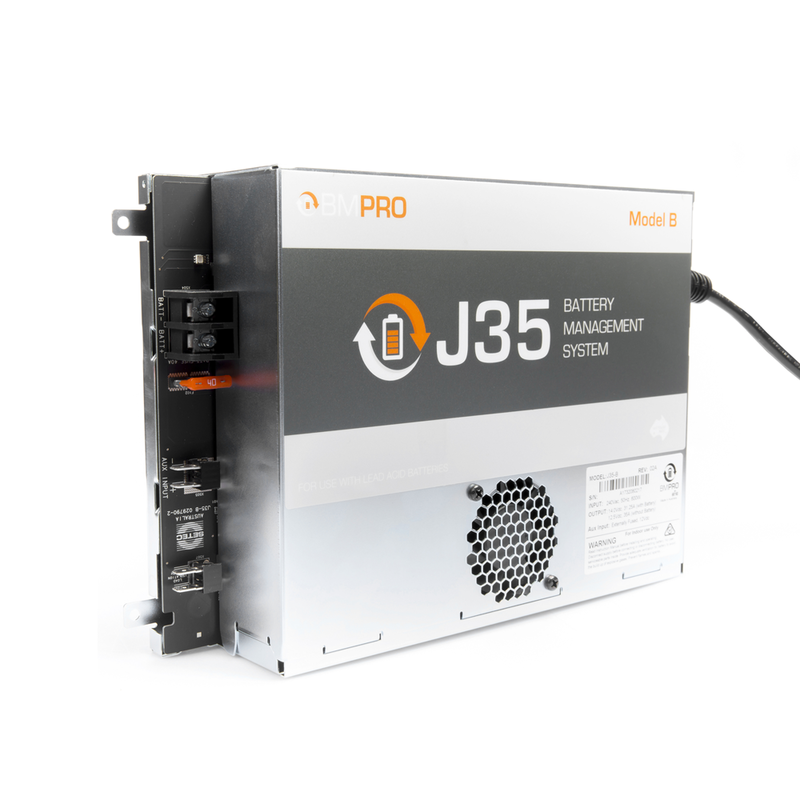 Get more out of the J35B intelligent battery management system by connecting it to accessories, such as battery monitors JControl or JDisplay. They will allow you get access to the monitoring your power supply status in a handy location. Is the J35 a DC-DC booster? Do I need one? No, the J35 BMS is not a DC-DC booster, the status of the vehicle and wiring will determine if a booster is needed. This can be seen on the Tablet /J Control as an AUX input to validate if a booster is required. If there is not enough AUX input then MiniBoost will work with the J35. (The J35 does have solar/Aux blending so it will use solar if the AUX input is not enough). I want to add external solar panel and plug it into the Anderson plug, will this work? Plugging into the Anderson plug will not work as the J35 will not give a voltage feedback for the solar panel’s regulator to see a battery. 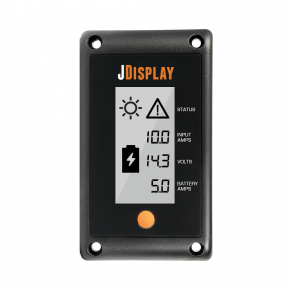 Installing the external panel directly to the J35 solar input is possible if the regulator is removed from the external panel. Installing directly to the battery regulated will also work, however, Jcontrol and JHub tablet will not see the charge input and the state of charge graphs will be incorrect. Using the external shunt will overcome this issue. How much solar can I add? The J35A has no solar input, the external regulator fitted by Jayco will limit the solar that can be fitted. Early models of J35B have no solar regulator and are to be used with the external regulator, similar to J35A model. The JControl compatible J35B has a solar regulator capable of up to 15amps, 300 watts (2 panels) inbuilt. 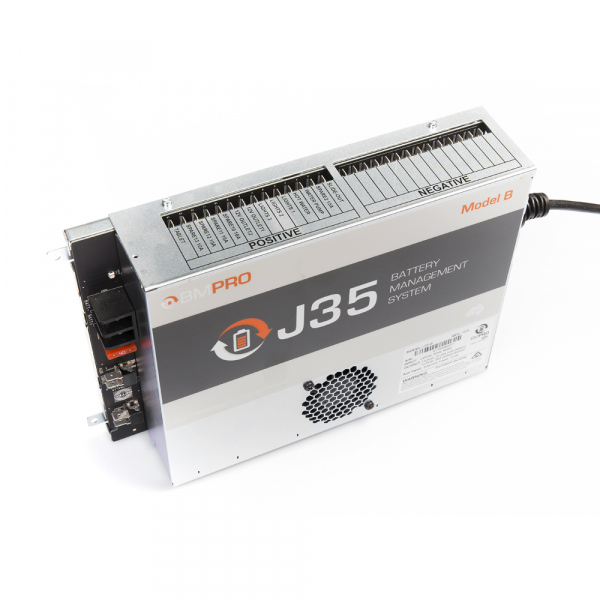 The J35C has an inbuilt regulator capable of 28amps, 450 watts (3 panels). Is J35 BMS lithium compatible? Lithium compatible model of BMS, J35D will be released shortly, the other J35 variants are not lithium compatible. Can I add more batteries ? Type/ size? What type and size of generator do I need? Why is the battery graph not filling back up on the tablet? If a charge source is fitted directly to the battery, the J35 will not see the charge going in, therefore it will not fill the Graph despite the voltages rising being correct. If the caravan is using the charge that is being generated, i.e solar in at 6 amps and the fridge, lights etc. are drawing 5 amps, the battery is only charging at 1 amp and will take a long time to charge the battery and fill the state and charge graph. Can I fit an invertor into the J35 system? The J35 is limited to a total 20 amps on the J35A and 35 amps on the J35B &C.
Due to the excessive current draw from an inverter, this cannot go through the J35. Installing directly to the battery fused will also work; however, Jcontrol and JHub tablet will not see the charge input and the state of charge graphs will be incorrect. Using the external shunt will overcome this issue. 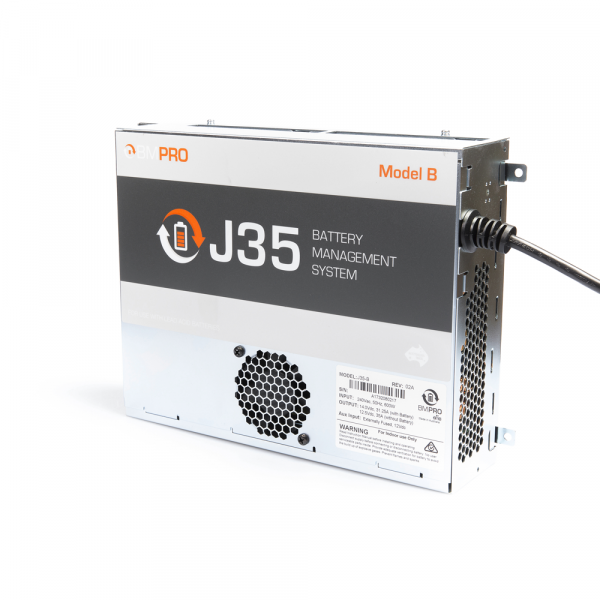 How to validate if your J35B has the solar input up to 15amps/300 watts (2 panels)? If your J35 unit has the regulator with “Solar” next to AUX regulator, your model of J35B has solar in built. In this case, the positive and negative leads from your solar panels are connected directly to the solar input and output on the solar distribution board.